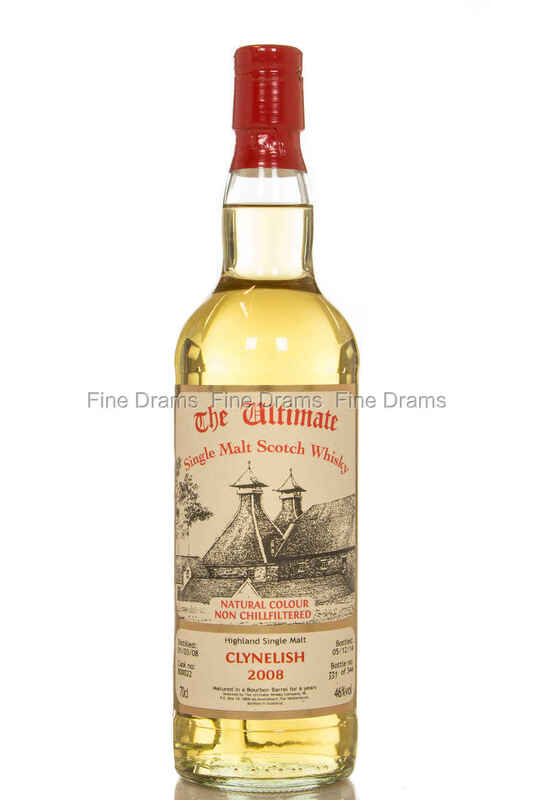 Bottled by independent bottler, The Ultimate Whisky Company, this is a 6 year old Clynelish. It was distilled the 1st of March, 2008, and laid down in Bourbon Barrel #800022. After resting for 6 years in the barrel, it was bottled on the 5th of December, 2014, non-chill-filtered and at 46%, with an outturn of 344 bottles.